Které nejčastější otázky pokládají zkoušející u ústní zkoušky z angličtiny na téma Londýn a jak na ně odpovídat tak, abyste získali vynikající hodnocení? 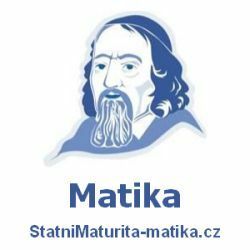 Připravili jsme seznam nejfrekventovanějších otázek hodnotitelů pro maturitní okruh London a vzory odpovědí na jedničku. Vyzkoušejte si je nanečisto v klidu a teple svého domova u svého počítače nebo na mobilu. 1. Is London a capital city? If so, of which country? Tell me about it. Yes. London is a capital city of the United Kingdom of Great Britain and Northern Ireland – the official name of the UK. 2. Where does London lie? Tell me about it. It lies in England, in the south of the British island. It lies on the river Thames. 3. What is the name of the river flowing in London? Tell me about it. As I said, the name of the river which flows through London is the Thames. I think this river is the most famous stream in the UK, mostly for the fact it flows through London, the capital. 4. Is London the largest city in the United Kingdom? Tell me about it. This is true. London is the largest city in the UK. It covers a great deal of area and the population is about 8,5 million people. Other large cities are Birmingham, Manchester, Edinburgh etc. 5. Which authorities of the UK are situated in London? Tell me about it. Most of the authorities are situated in London. Let’s name the most important ones: the formal seat of the Queen, the UK Government, the British Parliament and many more, as it is usual in the capital city. 6. What is “Londinium“? Tell me about it. This is a historical name of London used by the Romans in the ancient times. 7. What happened in 1666 in London? Tell me about it. This date is important for London history, as most of the city was burnt down due to the fire, known as the Great Fire of London. 8. Which sights of London do you think are worth visiting? Why? Tell me about it. There are so many famous sights. The highlights are definitely the Big Ben, the part of the Houses of Parliament, next one is the London Eye and definitely the Tower Bridge. 9. Which from the London sights are the true landmarks of London? Tell me about them. As I said a moment ago, the monuments everyone imagines when thinking about London is the Big Ben and the Tower Bridge. 10. Why is the Tower Bridge such an extraordinary construction? Tell me about it. It is something special. It was built at the end of the 19th century and it can be raised to allow large ships to pass through. 11. What is special about Big Ben and where is it situated? Tell me about it. Big Ben is a big clock tower in Westminster, one of the London boroughs. It is a part of the Houses of Parliament. The bells ring a special melody known all over the world. 12. What is the official residence of the Queen or the King in London? Tell me about it. The official residence of the Queen is the Buckingham Palace. However, the Queen prefers staying in the Windsor Castle, her home. 13. What is special about the Hyde Park in London? Why? It’s one of the largest parks in London. There are many interesting places to visit or relax but one of the most interesting places is the Speaker’s Corner. You may go there and speak freely about anything you like. 14. Why is the Downing Street 10 such a famous place in London? Tell me about it. This is a very special address not only in London but also in the UK. It is the official residence of the British Prime Minister. 15. Why does the Trafalgar Square have the name it has? Tell me about it. It got its name after the Battle of Trafalgar, one of the most significant battles which were won by the Royal Navy over the French and Spanish navy. 16. If you wanted to have the greatest view of London centre, which attraction would you visit? Tell me about it. It would be one of the high places in London. Most of the tourists visit the London Eye, a huge carousel with cabins. 17. What is special about Greenwich? Why? Tell me about it. It is one of the boroughs in London. The Prime meridian (also called the Greenwich meridian) is named after this place. 18. Which places of cultural interest would you recommend to a tourist? Why? Tell me about it. I would recommend going to a typical English restaurant or a bar, visiting a football match in Chelsea or Arsenal, or going to the Museum of London. You wouldn’t regret. 19. How is London protected from floods? Tell me about it. It is protected by the Great Barrier, built on the river Thames. The barrier protects London from floods coming from the sea. 20. How do Londoners usually travel in London? Why? Tell me about it. London, like any other large city, has the subway system, called the Underground. Londoners also use taxis or Doubledeckers. When they travel away from London, they go by their cars, by train or by plane; London has one of the largest airport in the world, the Heathrow Airport. 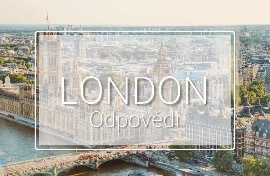 Odpovědi zahrnují fakta o tématu London. 1. Have you ever been to London? Why? / Why not? Yes, I have. I visited London in my first year at this school. I will never forget this visit. I admired the English atmosphere. 2. Would you like to spend some time in London in the future? Why? / Why not? Yes, I would. As a tourist, or maybe as a worker. I will visit London again, that’s for sure. 3. If you travelled to London, which places of interest would you definitely visit? Why? I would go on a boat trip over Thames and then to a London bar to talk and have some pints of beer. 4. Which places of interest wouldn’t you visit at all? Why? I wouldn’t visit museums as I have no relationship to such places. I like places where there is fun. 5. If you travelled to London, which means of transport would you choose? Why? It’d depend on the budget. If I could choose any, I would choose going by plane. 6. If you were in London, would you try a boat trip over the Thames? Why? / Why not? As I said, I would. The view from the river must be fantastic. I know this from the boat trip in Prague and Dresden. 7. If you typed “London” to Google and selected the category called Pictures, which photos would certainly be the first on the web page? Why? The London symbols, such as the Big Ben, the Tower Bridge, the London Eye, the Buckingham Palace, The Saint Paul’s Cathedral etc. 8. If you were in London, would you consider visiting some other places around the city? Why? / Why not? Tell me about it. If I had enough time, I would be interested in visiting the English countryside or some natural monuments. Maybe the Stonehenge in Salisbury. 9. Is there anything that suprised you about the London history? Why? / Why not? Tell me about it. This is a difficult question. I am sorry but I can’t say anything that would surprise me about the London history. Really nothing. 10. Are you a fan of a London football club? Tell me about it. I am a supporter of Chelsea, the best football club in the world. For me, of course. Dobrý den, chtěla jsem se zeptat, zda všechny tyto informace (kolik má Londýn obyvatel aj.) musíme umět z paměti nebo tam budou na potítku k dispozici i některé informace. Přeci jenom, když si vylosuji jedno město/stát z velkého počtu tak si vše nemohu pamatovat přesně. Není to přeci maturita ze zeměpisu..